With the recent ability to sell Edibles, Concentrate and Topical products to recreational consumers in Oregon, we look to the Washington market as a model to provide insights into how this newly available segment will impact sales within the Oregon cannabis market. 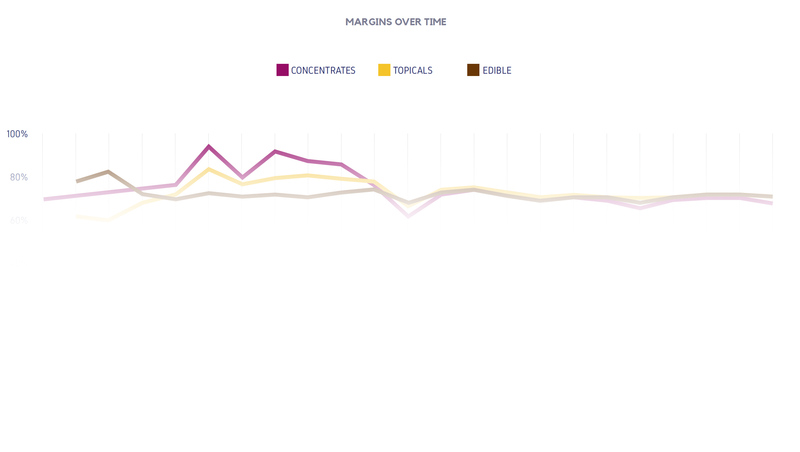 After the launch of Edibles, Concentrates, and Topicals in Washington products in those categories quickly grew to consume about 15% of the total market share as measured in total sales dollars. Edibles saw the quickest growth rocketing from 0% of sales in July to 13.5% of sales by December. This share was short-lived and after a few months it dwindled to 6-8% where it still hovers today. 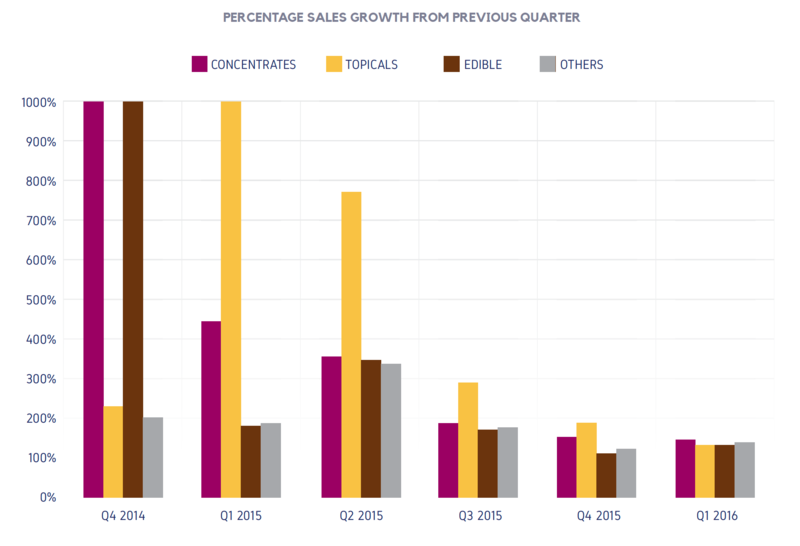 Concentrates saw a slower and steady growth, due mostly to fewer brands and products coming out. Concentrates have seen consistent growth month over month with no decline. Rising from just 3% at the end of 2014 to nearly 9% in the most recent months. Topicals currently take up the smallest portion of the market at just over .5% of the total market after over 18 months of availability. While the total share is small Topicals are seeing strong month over month growth. While these categories quickly made up a large portion of the of the total sales they did not take share from the other categories; rather, they increased the total market size after their introduction. This is evidenced by the quarter over quarter growth of these categories compared to other categories in the market. These categories had strong growth in the first few quarters after their introduction and leveled off to have similar growth rates to the rest of the market place. 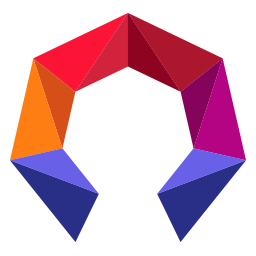 Even during the introductory phase of these products other categories experienced high rates of quarter over quarter growth. As time progressed margins in these categories began to compress from extremely high to a number more normal for the industry. After roughly a year margins had compressed from the highs of low 90’s to between 50 and 55% and stayed steady at this rate.